Travel comfortably AND save money with our Cheepa Sleepa. The HONDA ODYSSEY easily fits 2 people. 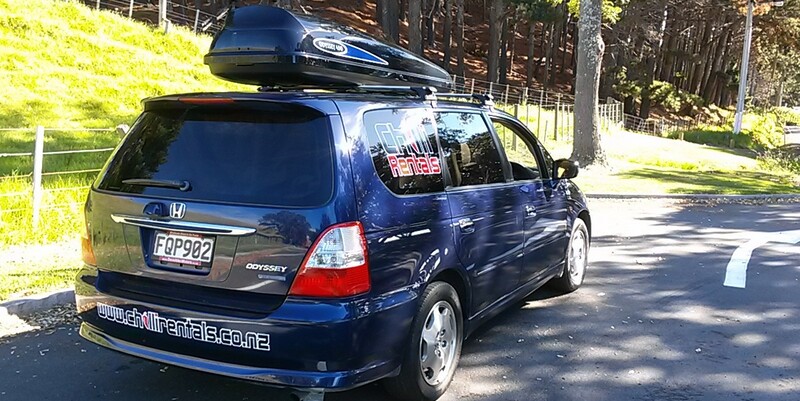 Our Tastee Tourer offers extra comfort for 2 people. 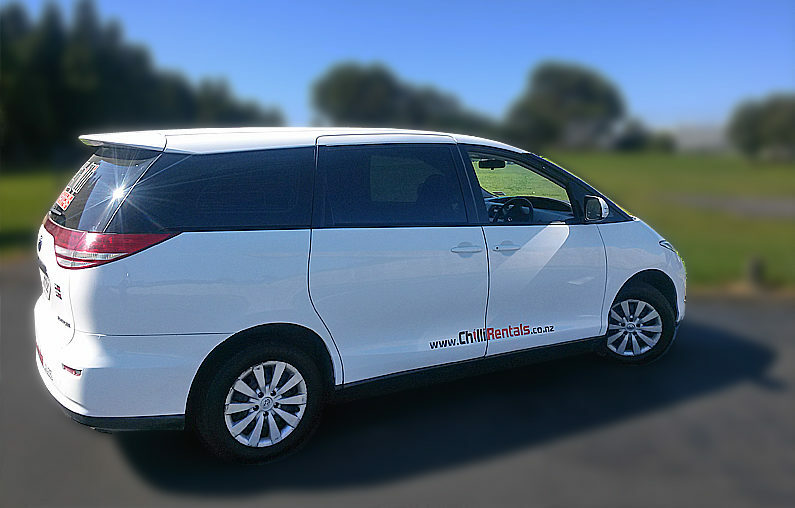 Models such as TOYOTA PREVIA or TOYOTA ESTIMA include tinted windows for more privacy and are very economical. If you’re travelling in a group of 4 people you’ll find our VROOMS with a view most convenient. Models such as the FORD MONDEO, MAZDA MPV or FORD FOCUS are equipped with a tent on the roof that easily unfolds for more sleeping facilities. If you’re travelling in a small group or as a family you will find lots of space in our Super Vroom. Models such as TOYOTA PREVIA or TOYOTA ESTIMA comfortably sit and sleep 2 people and our unique roof-mounted tent offers more sleeping space for extra passengers. 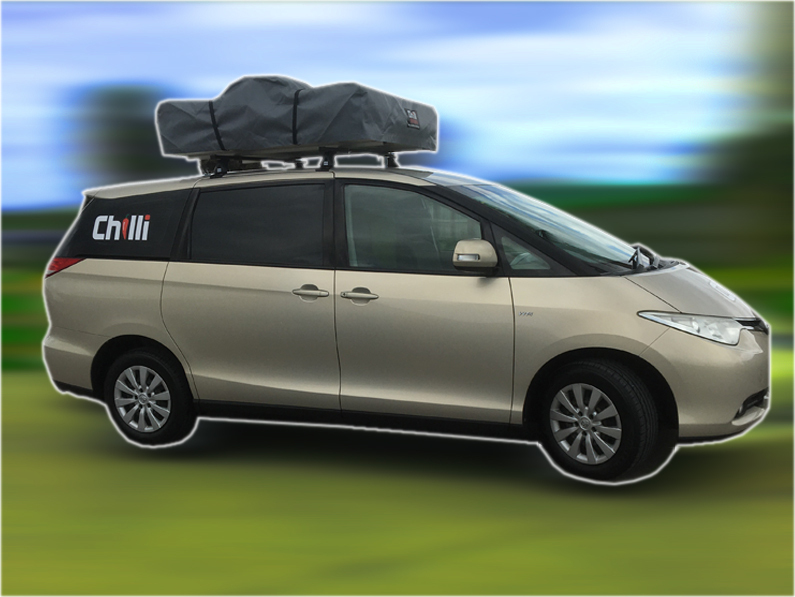 This category is SELF-CONTAINED which allows you to park up for free in a lot of places throughout New Zealand. 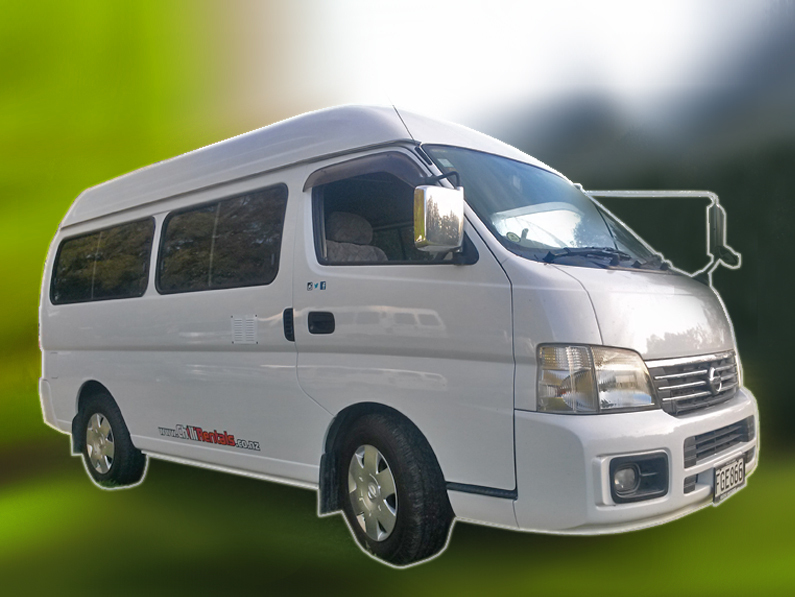 Models such as NISSAN VANETTE or TOYOTA HIACE comfortably sit and sleep 3 people. This category offers everything you need when travelling in a small group or as a family, wanting to make the most out of your holiday while on a small budget. This category is now also SELF-CONTAINED which helps save even more money on accommodation and camping. The Super Traveller is our most popular model and SELF-CONTAINED. It offers extra large storage space and comfortably sits and sleeps 2+1 people. That makes this category a perfect fit for extended trips around New Zealand. The Island Explorer is our biggest model that offers lots of comfort. Extra large storage space as well as room to comfortably sit and sleep 3 people make this category perfect for long trips around New Zealand. These vehicles are also SELF-CONTAINED.